Steward Bank (Steward) has just launched Square World, both a payment service and a platform which enables the Zimbabwean diaspora to access various financial services provided by Steward. Essentially, cuts out middlemen who have been facilitating the payment of services and accessing of financial services for the Diaspora. Square World provides the diaspora access to (almost all) banking services (listed down) a Steward’s customer in Zimbabwe currently enjoys. Square World takes from Square 2.0, another platform of Steward’s which it introduced early this year that also allows customers and non-customers to access financial services anywhere, anytime. What will the Diaspora able to do on Square World? Square World users will also use a service called E-store. Details on this are still hazy but we will tell you later on. And most notably trade shares on the Zimbabwe Stock Exchange. We currently don’t know how specifically people will trade shares but my educated guess is that Steward Square World will link with C-trades platform since C-trade already uses Ecocash API. The app is already accessible for download on Google Playstore and App store. 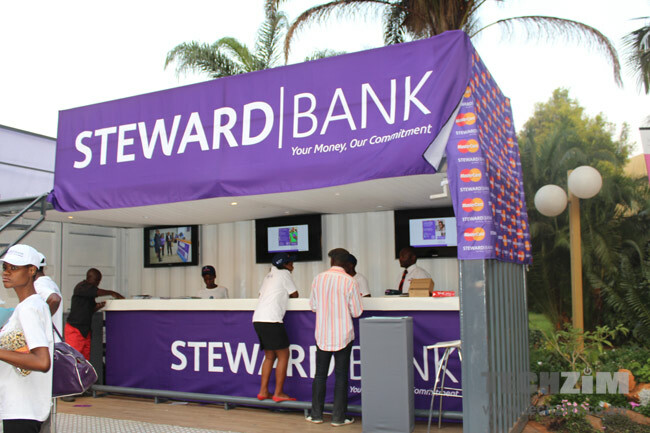 Steward has been trying to tap into the foreign currency that comes with diaspora customers since 2014 by its introduction of Diaspora Banking. Actually, many local banks have lately been creating financial products targeted for Zimbabweans leaving abroad. By introducing the Square World app, Steward is effectively to rake in foreign currency by bringing its diaspora clientele closer to its core banking services rather than just giving them access to a limited number of services. This is part and parcel of Steward’s attempt to create a digital platform financial institution as I recall from when we met its CEO, Lance Mambondiani several months ago. And based on current trends in Zimbabwe and world over, digital platforms will no doubt become the preferred and dominant business model for banks and financial institutions in the future. Digital platforms offer a financial institution’s customers the ability to connect with financial service providers through an online or mobile channel as an integrated part of their day-to-day activities. Customers now spend the majority of their time on digital (e.g. social, messaging) platforms. Therefore, financial institutions are now compelled to position themselves where their customers are and create a matching digital platform relevant to their customers’ requirements. Always good on paper, Steward bank is rigid and a nightmare for online users.